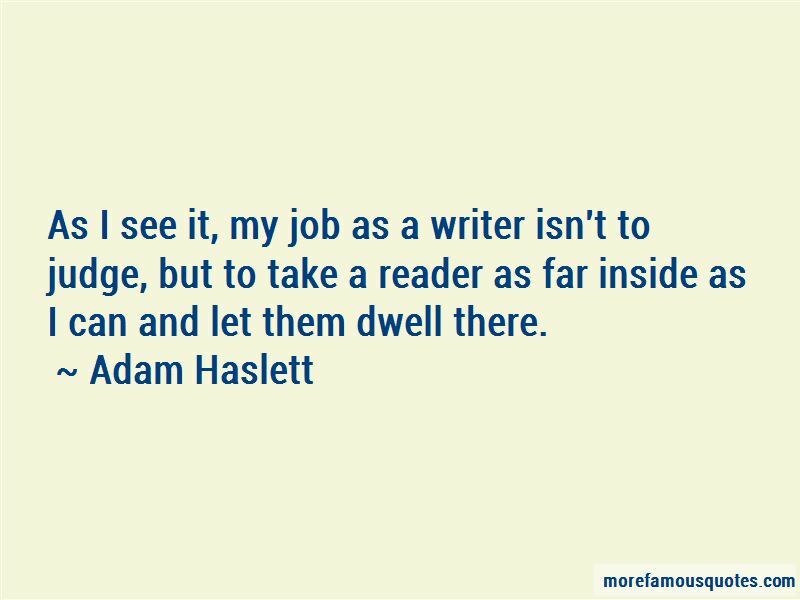 Enjoy the top 9 famous quotes, sayings and quotations by Adam Haslett. It is a negative sort of achievement, she thinks, to have spent a life warding something off. 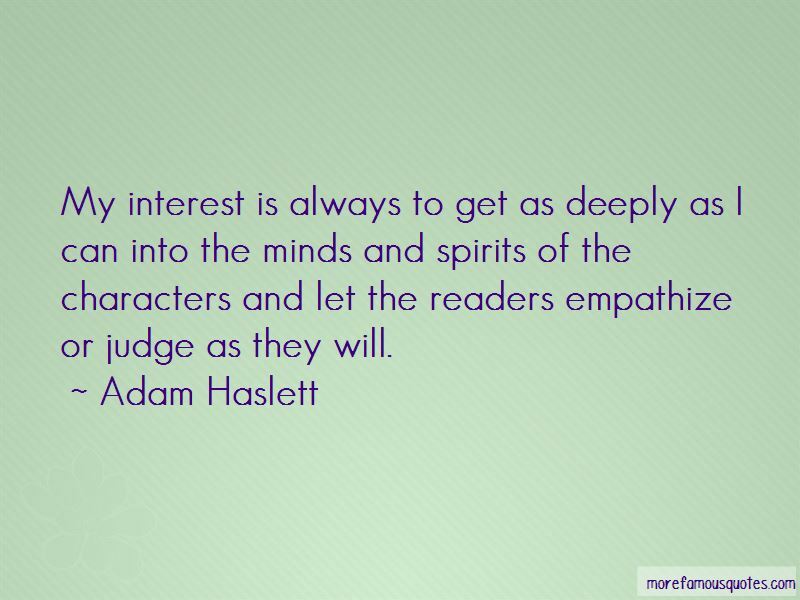 My interest is always to get as deeply as I can into the minds and spirits of the characters and let the readers empathize or judge as they will. We live in a bureaucratic, atomized world, but the system is still run by human beings. 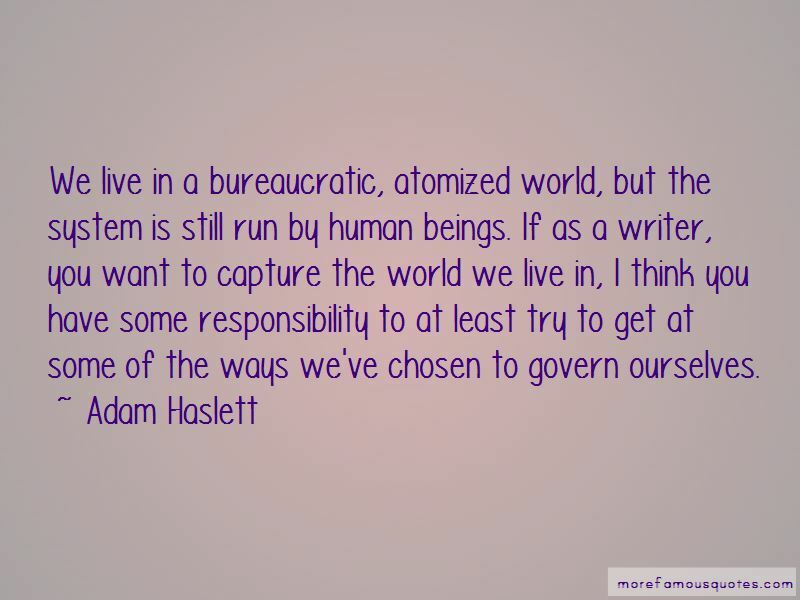 If as a writer, you want to capture the world we live in, I think you have some responsibility to at least try to get at some of the ways we've chosen to govern ourselves. Want to see more pictures of Adam Haslett quotes? 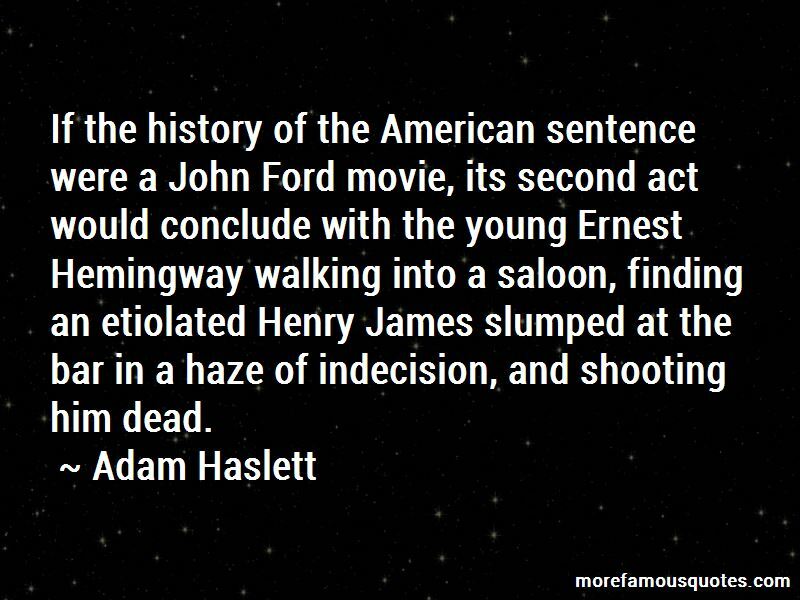 Click on image of Adam Haslett quotes to view full size.